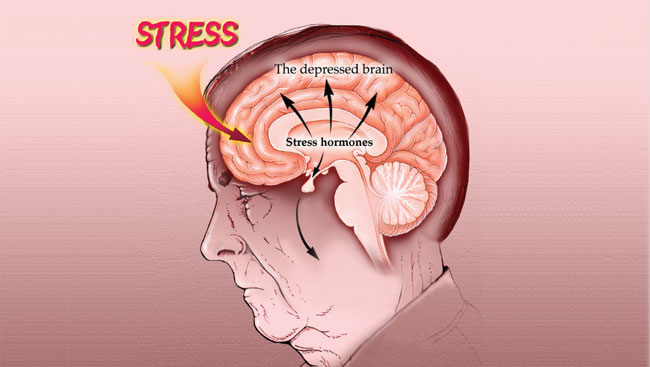 Minor stressors–such as deadlines, family squabbles, and traffic–can affect the brain’s ability to process information. Sitting in a noisy coffee shop on a Monday morning, nervously tapping my foot as I wolf down a fat-filled pumpkin cream-cheese muffin (eating is my preferred way of coping with stress), I wonder why, once again, I have put myself in this position. It’s my fault I’m now staring at a blank screen and what feels like a hopeless deadline, and all I can think about is the Indiana University Bloomington psychology professor I’ve agreed to profile for this magazine and how she’s got my brain tied in knots. Just a few weeks earlier, I listened intently as Wellman discussed her research on the effects of stress on the brain, how stress hormones target our prefrontal cortex (the part of our brain involved in planning complex cognitive behaviors), and how those hormones reorganize things (until my own brain unlocks, we’ll call them things) in the brain’s frontal lobe. As Wellman has discovered, even minor stressors–such as deadlines, family squabbles, and traffic–can affect the brain’s ability to process information. Fortunately, it turns out that our brains are pretty adaptable. Most of us get stressed now and again, and then we get over it. Our brains may bend a little, but don’t actually break.